well hello there, young traveler. 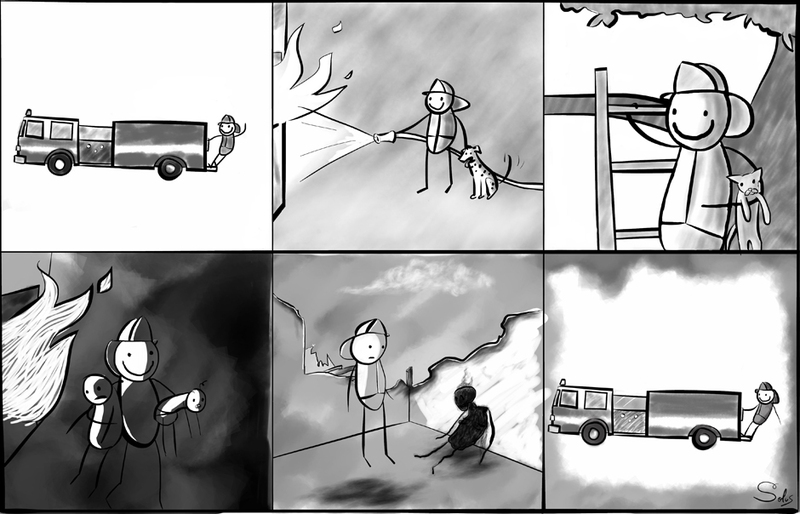 here is the second fireman comic, which was implied through my use of “part 1” in the previous comic’s title. pretty sure that’s all i got about firemen for a little while. time to take it easy. └ Tags: cat, corpse, death, fire, fireman, futility of life, meaninglessness of the universe, riding on a fire engine is fun!